Basfords offer a complete aluminium window solution to suit specific customer requirements or where a particular type, style or design of aluminium window may be required. Based in Nottingham we cover the entire East Midlands to either supply and install aluminium windows or just supply only. Our suite of industry leading aluminium windows is acknowledged as market leading. It’s widely chosen by architects, homeowners and developers of house flats and apartments. Our cleverly designed suite of aluminium windows benefit from great security, exceptional thermal performance and a choice of window styles and aesthetic. Virtually any type of opening or fixed aluminium window can be created. High specification aluminium windows to meet the needs of any replacement or new build aluminium window requirements. Flat, chamfered or Ovolo profile options meaning most design briefs can be met. A choice of outer frame depths for direct fix or new build applications. Tested to severe weather ratings and Secured by Design. Flexible opening options including inward opening, tilt and turn and pivot windows. Fire Escape or Easy Clean hinges. Thermally efficient frames to lower your energy bills. A choice of handle colours and options. Windows are available in a wide choice of quality double glazed units. Double or triple glazing up to 44mm thick is available. Glass comprises low emissivity units, argon gas fill, warm edge spacer bars and low U Values. Theres even glass options for bathrooms needing obscure glazing and upgrades to high security laminated glazing. Our windows are available in single or dual colours from the complete RAL colour range. A choice of over 200 colours is available including contemporary metallic effect finishes, anodised aluminium and other special colours. All our powder coated finishes come with long guarantees ensuring windows look good for many years with only routine cleaning required. Specialist finishes for windows in chlorine, exposed or city centre environments are available. Aluminium windows for any type of design requirement. Offered in a choice of direct fix frames, 70mm or 58mm systems and superior design, Basfords provide an aluminium window solution no matter what type of property you live in. It’s a custom made aluminium window made to your precise sizes, colour and style choices. As standard our windows come with the very latest in thermally broken frames . You also benefit from a choice of ancillary profiles meaning windows can be coupled together, coupled to doors or to create large glass picture windows. Bespoke aluminium windows with security, efficiency and weather performance. Our entire window suite is extensively tested to meet or exceed the current industry standards for security, weather performance and energy efficiency. You have a choice of internally or externally beaded windows with no compromise on security. Windows are tested to meet the stringent requirements of Secured By Design for security and BS6375 for weather performance. They also feature a unique double beaded option that removes the need for costly dummy sashes where the property style dictates it. All our range of custom designed aluminium windows are expertly fabricated and professionally installed. Steel replacement windows in aluminium. If you live in a character property or any type of home with original Crittall or other metal windows, you can now have the very best in slim, thermally efficient and secure aluminium whilst retaining the sight lines of the original windows. Basfords offer steel replacement windows that can match the design of original windows. Often these windows have aesthetics that are important to the overall look of the property. These windows are specially designed and feature the right types of profiles to retain much of the original appearance. At the same time you benefit from high security and excellent window energy ratings. With our steel window replacement system you get a choice of five different sash options. These have been cleverly designed to replicate many of the profile and detailing found on the originals. Windows with a choice of opening options. Should you have requirements for more specialised windows we can provide top or side hung casements, bottom hung opening in windows, tilt and turn windows as well as pivot and fully reversible. All of these versatile window options enable you to create large opening vents, windows for emergency escape, windows that are easy to clean, high level windows and much more besides. Basfords. Your aluminium window specialists. 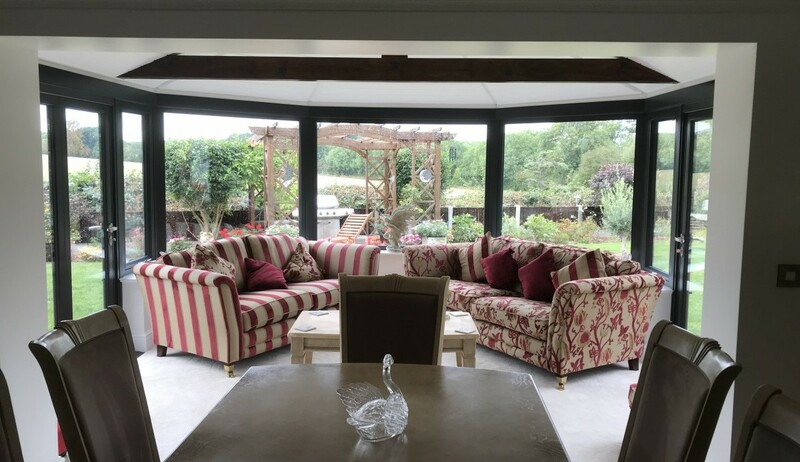 Contact us today to find out more about our range of custom designed aluminium windows with varied opening options, unlimited design choices and for the replacement of old steel windows.